The National Executive Committee, after consultation with concerned councils, approved during its meeting on February 2, 2019 at Grand Caprice, Limketkai, Cagayan de Oro City, the holding of the Golden Anniversary Celebration and 5th National Convention on October 26-27, 2019 in Iligan City. The NEC decided to give the Iligan Council of Nobles the hosting for historical reasons, after the Agusan Council of Nobles decided to waive the hosting in favor of Iligan CON. The Iligan Council of Nobles will be working closely with the NEC. Brother Raul Almeria and Sister Uldine Paras-Manon-og represented the Iligan CON. A search for the celebration and convention theme will be done by the NEC. The winning entry will receive an award during the convention. In line with the Golden Anniversary celebration and in light of the Year of the Youth Celebration and the revival of the student chapters and creation of new student chapters with pioneering recruits, a special recruitment and initiation will be conducted. It will be piloted in Iligan City through the Iligan CON but will cover Iligan City, MSU Marawi and Pagadian Chapters. 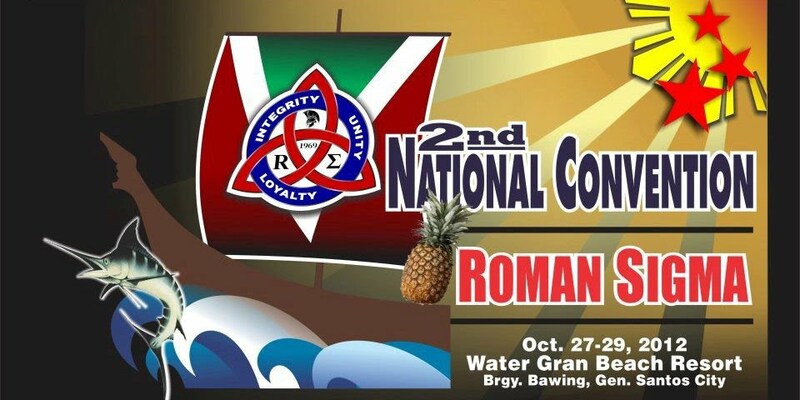 The council of nobles are requested to prepare their delegation to the 5th national convention and support the Iligan CON. 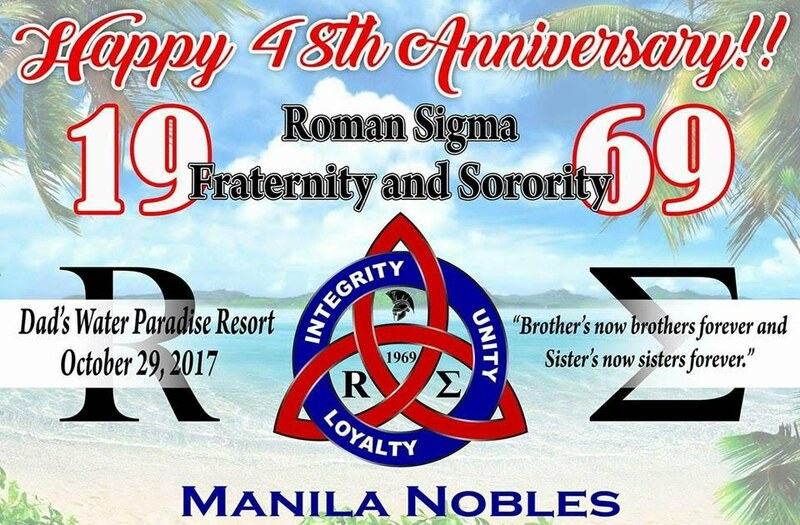 Updated on the Golden Anniversary Celebration and 5th National Convention will be posted in the website and shared on the Roman Sigma Facebook group. The NEC expressed gratitude to Sister Divina dela Cruz for hosting the meeting. The Agusan Council was formally installed with the induction of officers on August 2, 2014 at DLJ Chika-an, Cabadbaran City. 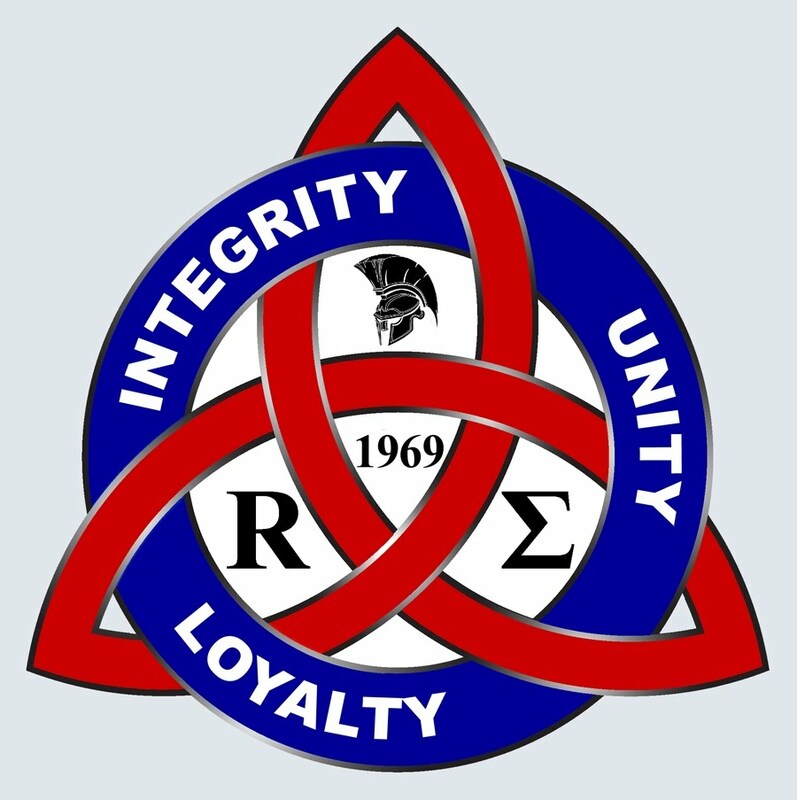 The induction ceremony was led by the Brother Ramil A. Sanchez, the National President of Roman Sigma. Brother Dante Manlimos, the National Executive Vice President and Brother Crisalde Avena, the National Treasurer were also present. The National Executive Committee (NEC) has issued an Executive Order No. 2 Series 2013 for the Worldwide Fundraising to help the victims of Supertyphoon Haiyan or Yolanda. Proceeds of the fundraising will be extended to identified areas and to the Philippine Red Cross or local partners in the Philippines through the International Council of Nobles and the various councils and chapters.